Encourage your group to get fit! 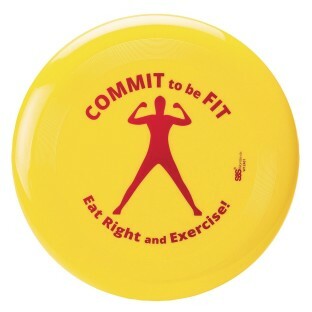 Use this colorful 10” flying disc to get your group outside and exercising with this classic throw and catch activity. Also makes a great incentive/reward item. Yellow disc features our popular COMMIT to be FIT, East Right and Exercise™ logo. Weighs about 125 grams.